Finally, things have settled down enough that it’s time to start exploring my knitting community. Envision me rubbing my hands together in gleeful anticipation. Or should I say rubbing my needles together? 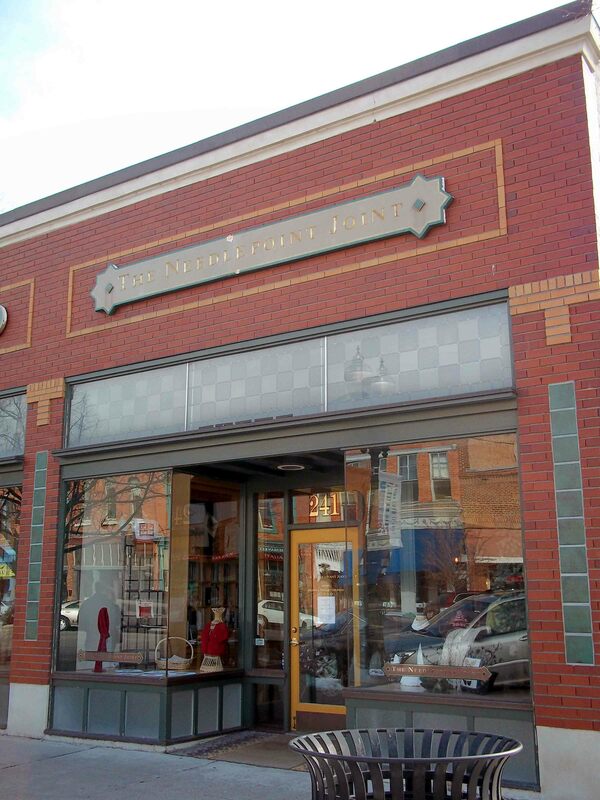 Based on web presence and proximity, the first on my list was Needlepoint Joint located on Historic 25th Street in Ogden, Utah. There’s definitely something to be said for being online. 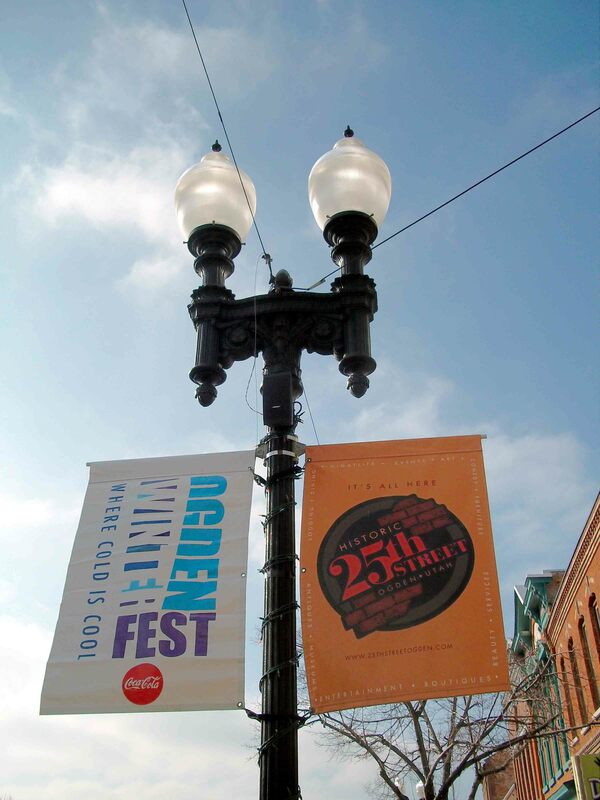 25th Street is a really cool area filled with nifty shops and trendy restaurants with the walkability and compelling architecture of an older time. While we were there street parking abounded and there’s also a parking lot behind the store. They were packing the street with snow for Winter Fest! How cool is that? Needlepoint Joint looks like an awesome shop and I couldn't wait to get inside. Inside doesn’t disappoint. The place is huge! A lovely, beautifully organized rainbow of yarn covers walls and walls, shelves and shelves, and apparently even drawers. There was so much to ogle that it’s hard to take it all in. Plus, it actually spans two storefronts. One is dedicated to yarn and the other needlepoint/crossstitch. You can see my latest sock yarn acquisition waiting on the counter. 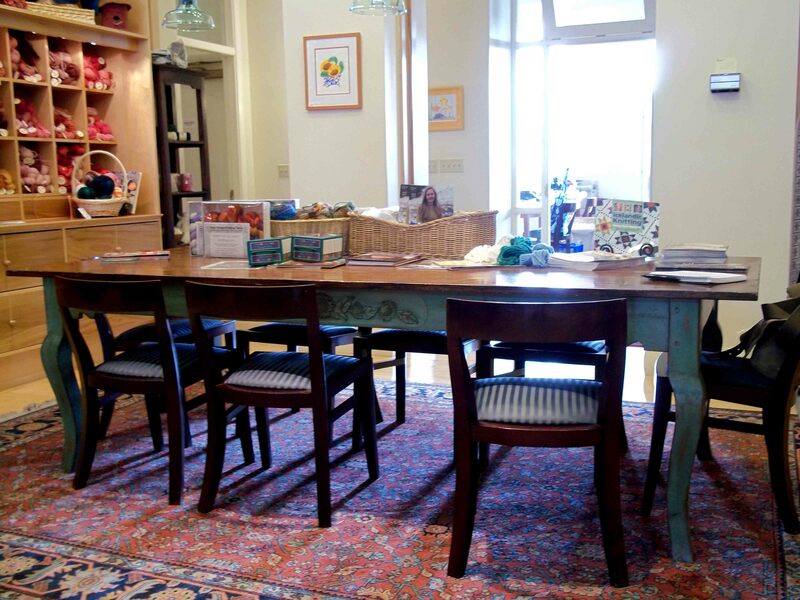 Oriental rugs adorn the floors and antique display cabinets house an array of threads, buttons and other items. The result is charming, inviting, and luxurious. 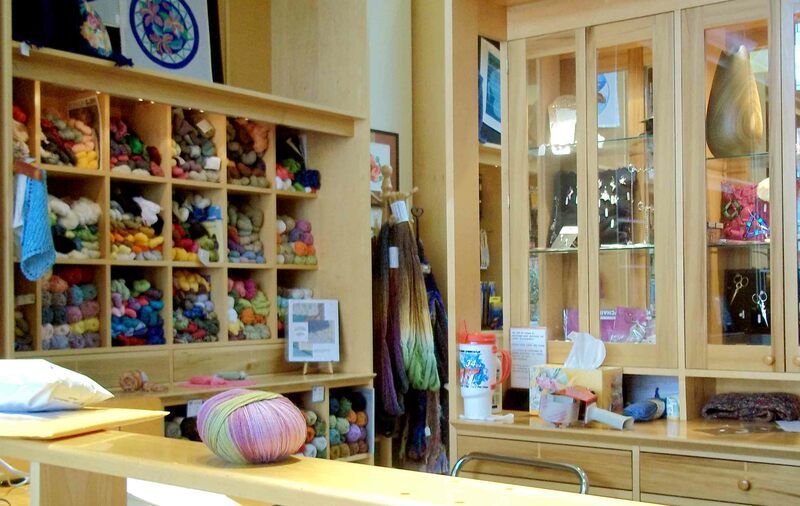 This is definitely one of the most spacious and lovely yarn shops I’ve ever been in. There’s also plenty of space for classes and knitters on knit night. I can’t imagine what a knitter could want that they don’t have. I’ve been to Needlepoint Joint several times now and the vibe changes depending on time of day and who’s working. The first time I came, it was crazy quiet. Like I should be praying at the alter of yarn instead of shopping through a store. But, when I returned during Winter Fest the place was hopping and I met some wonderful women who invited me to their first Thursday Knit Night! All in all, definitely worth a visit. Be prepared to find a luxe yarn that you’ll love. I know I did!